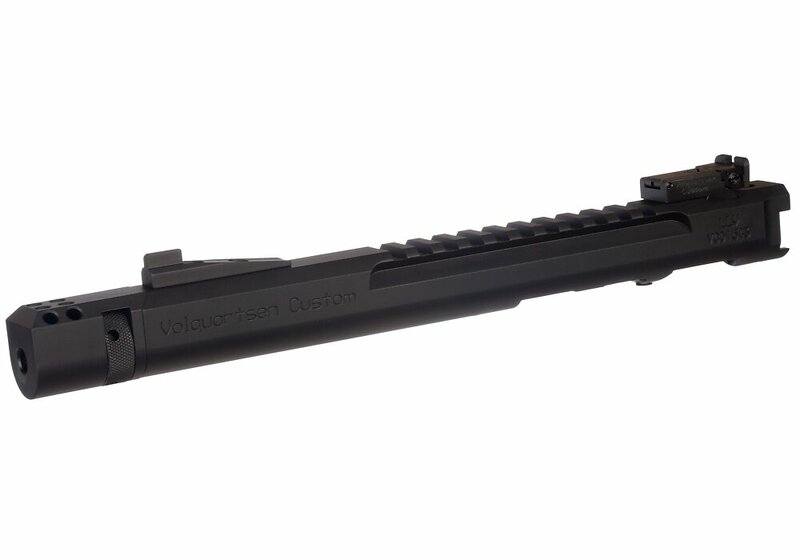 The LLV barreled receiver has been completely redesigned. A great design has been made even better - better balance, more versatile and, yes, even better accuracy! A CNC-machined billet receiver is the foundation of this lightweight setup. The receiver and barrel shroud are precision-machined as one piece from aluminum. An integral Picatinny rail is machined into the top of the receiver. It is then fitted with either a 4.5" or 6" precision stainless steel barrel that has been machine-honed and lapped. The barrel has been contoured to reduce weight without sacrificing accuracy. The LLV Competition Upper features a stainless steel breech face designed to withstand years of use both in practice and on the range!